Universities are welcome to exploit the possibilities of the both remote and in-situ operation of the tokamak GOLEM for educational purposes. 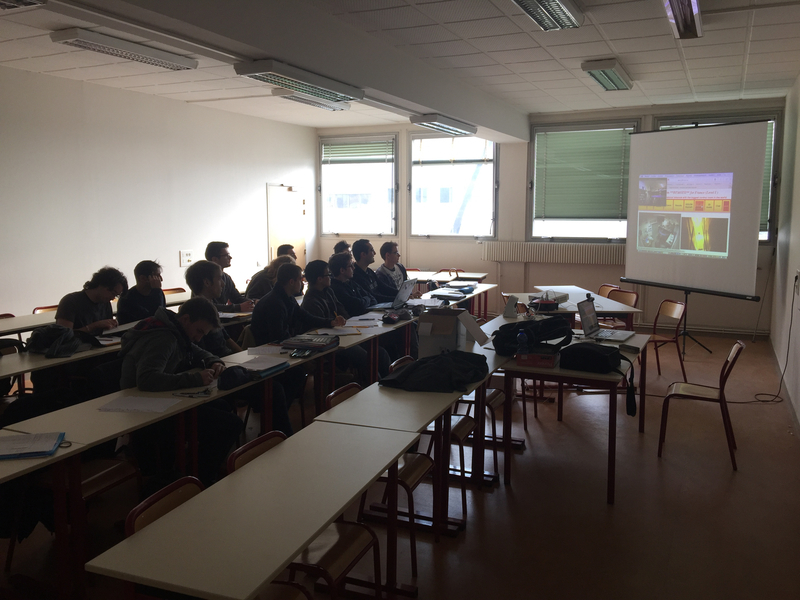 Half or whole day sessions for group of students are excellent introduction to the physics and technology practice of thermonuclear fusion in the magnetic confinement. Training courses: left) on site; right) remote. Dear GOLEM team, let me congratulate you to the first plasma in GOLEM achieved in the frame of the Summer Training Course 2009. This success is a result of your enormous effort to put the GOLEM tokamak in operation during the period of about one year. I can confirm that the participants (students and supervisors) found the experiments performed yesterday extremely interesting and enjoyed them very much. Thanks for the operation! The lab exercise went perfectly well, and the students were really enjoying it. I just wanted to thank you for coming in Cadarache to introduce us to the amazing work you’ve done with the GOLEM tokamak. It is fascinating to be able to work on such a device, and were really enjoying the possibility to make our very first discharges .. From all of us, thank you again. The EUROfusion consortium has taken note of the systematic and successful efforts of the FNSPE CTU in the field of education of future fusion experts, with a significant impact on the European level. Remote experiments on the GOLEM tokamak in Prague are in the curriculum of several European summer schools in the fields Last year, …. Somebody from the GOLEM team can come to the institution and deliver the presentation about the tokamak GOLEM, it’s operation, data manipulation and possible task to perform personally (preferably) or remotely via some kind of video-conferencing. Then one or more days later the real remote session could be established. Somebody experienced in the field of tokamak physics, technology and operation learn the GOLEM specific issues, undergoes introductory GOLEM operation training in advance and then it is possible proceed to the the real remote session for students.